The gala event will take place on Sunday, Oct. 14 inside the Crown Plaza in Dublin. A social will be held at 2 p.m., with dinner to follow at 3 p.m. and the awards presentation taking place after dinner. Tickets are available until Oct. 10 and can be purchased online at oh-nwhof.ticketleap.com. In fact, when she received the notification letter in the mail, she thought one of her friends was playing a joke on her. Joining Stolz in the Class of 2018 and also receiving “Lifetime Service to Wrestling Awards” are William McGrain; Tom Ehlert; Ken W. Ash Jr.; Chuck Forward; and John Borszcz. Receiving the “Outstanding American” honor is Stephen E. Chappelear. They will be permanently recognized at the National Wrestling Hall of Fame and Museum in Stillwater, OK.
Stolz is a graduate of Kent State University, with a master’s from West Liberty University. She was an art educator for 41 years in the Bellaire Local School District and the director of a state award-winning dance team at Bellaire High School, the Red Line, and was the creator and original director of the O.V.A.C. Dance Team, which performs with the All-Star Band for the annual Ohio vs. West Virginia football game. Stolz has been involved with Community Theater for many years, participating in more than 50 musical productions, appearing on stage and directing. 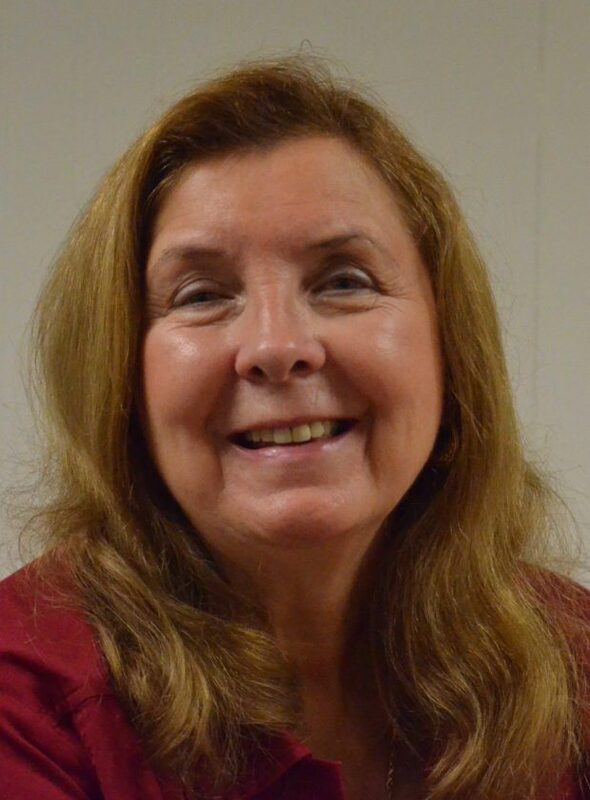 She was named the Ohio Art Education Association East Region Outstanding Art Teacher for 2006 and 2013 and was also selected as the American Legion District 11 Educator of the Year for 2006. Her interest in wrestling began in the 1970s and involved a young man, Jeff, who later became her husband of 44 years. Her husband coached and she assisted with tournaments, coordinating brackets and hand-printing results. It was a natural move to the Ohio Valley Athletic Conference’s large January tournament. She started out helping with brackets, recording winners, running off and collating results, and assisting where needed. She also created and still prints awards for the 25-year returning champions. Her husband gave up coaching, but she continues working the tournament to this day. When computers took over many of the jobs originally done by the volunteers, she became an announcer for the event, focusing on match results, team recognitions, and awards. “It is truly an honor to receive this award, and I consider it a tribute to all those people behind the scenes who help, support, and encourage this outstanding sport,” she said. In 1991, Stolz received the Ron Mauck OVAC Wrestling Championships Service Award, and she was also recognized on the cover of the program for the 61st annual Ron Mauck OVAC Tournament for her dedication to the tournament.